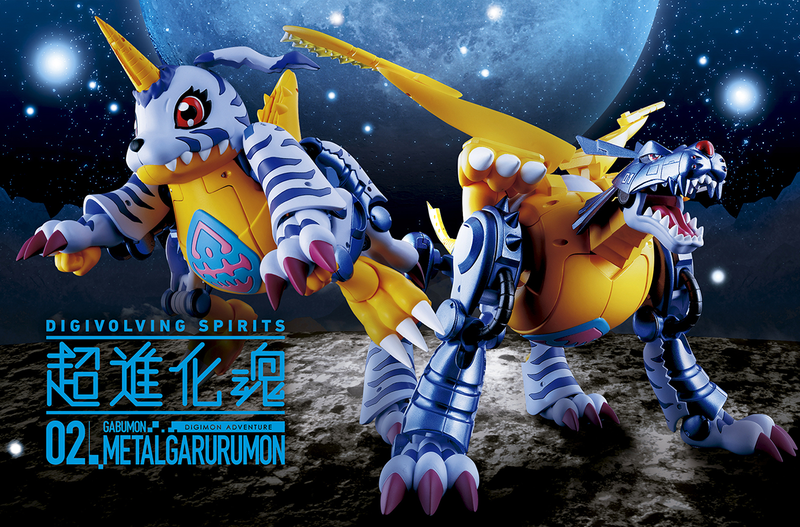 The newest test shot of the MetalGarurumon and Yamato Precious GEM figure has arrived at the Megahouse office, so they're giving us a preview. 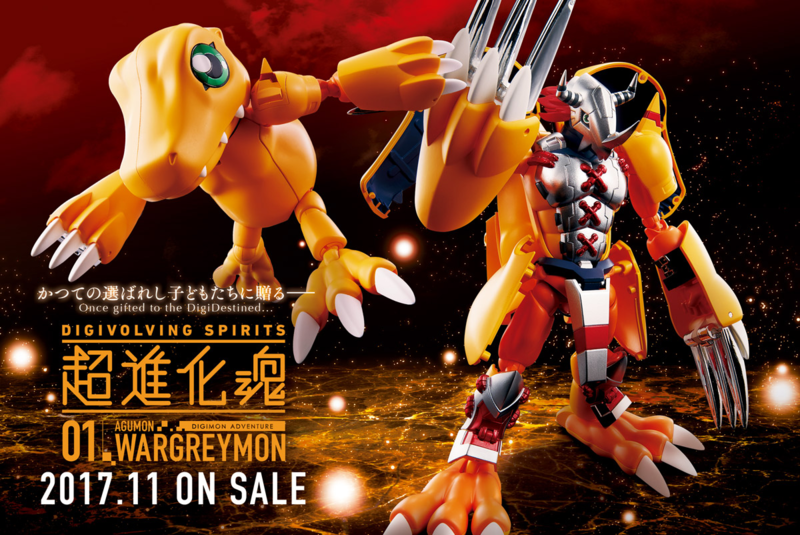 The writer comments how it looks great and cool, and that they go crazy every time a Digimon sample arrives. 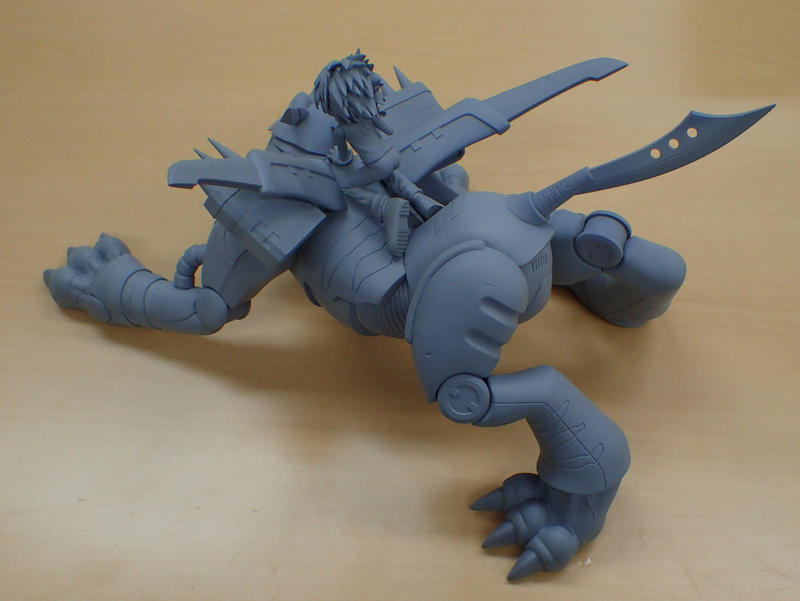 There is still some adjusting to be done, but they wanted to do another preview of the figures that was a bit less technical than when they showed the soft vinyl factory preview of WarGreymon. 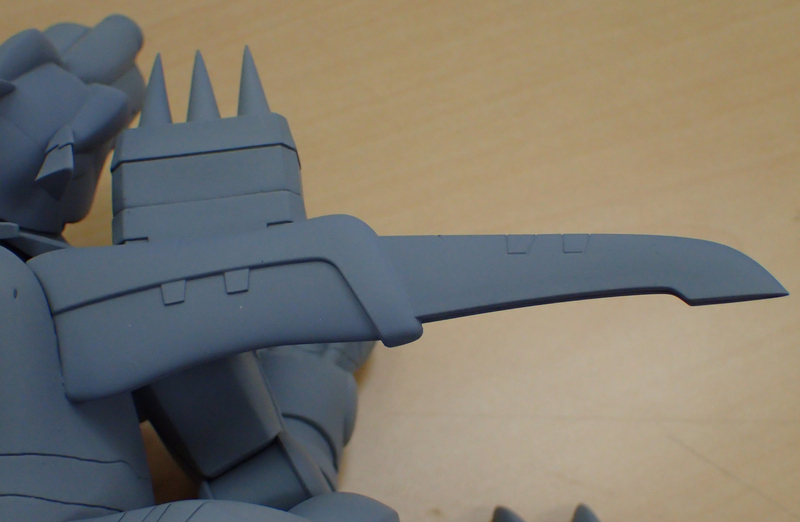 Certain shapes they do in ABS so the shape comes out properly (likely referring to more fine detail work.) 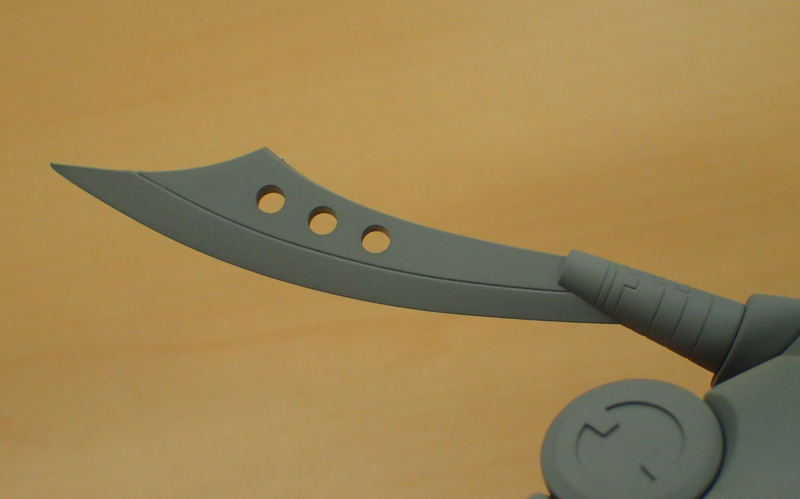 With ABS they can do parts quite sharp. 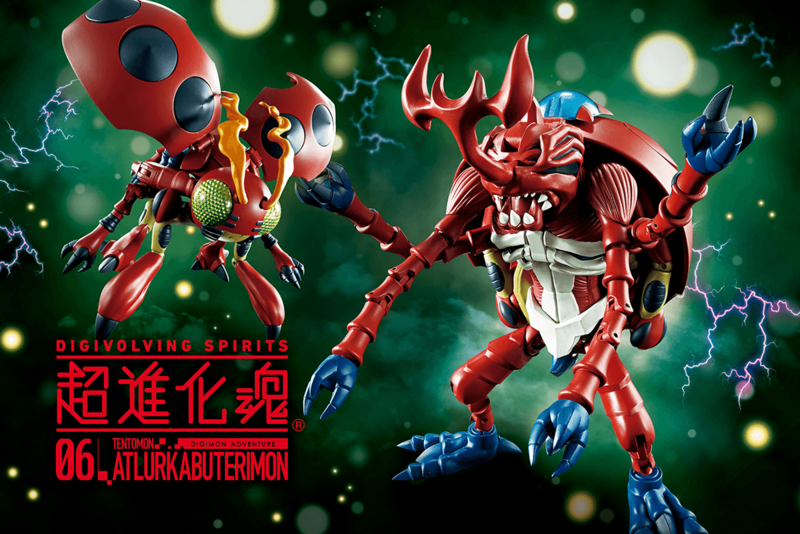 The figure, as they've mentioned in the past, will be soft vinyl, ABS, and PVC based on what characteristics and elements each parts needs. They combine these different materials for the best end results on these types of products. They hope to see us again next time. 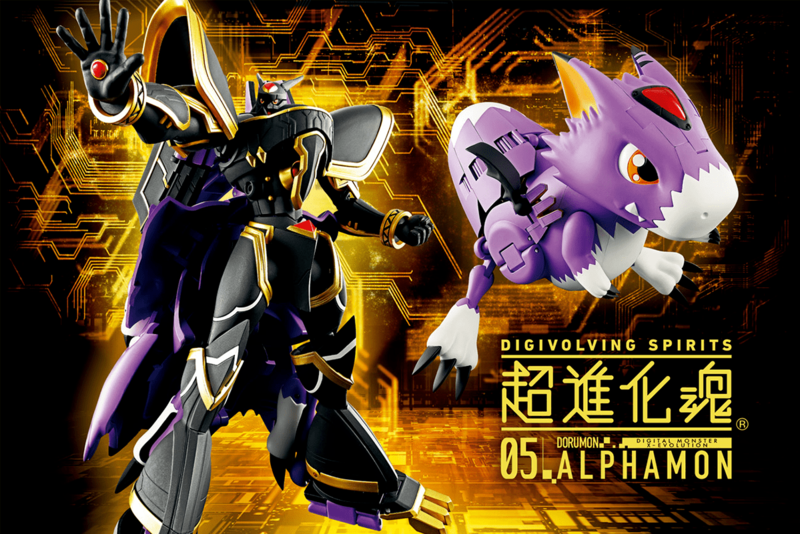 Just like the Angewomon figure, there will be a 'Touch and Try' event for Alphamon! 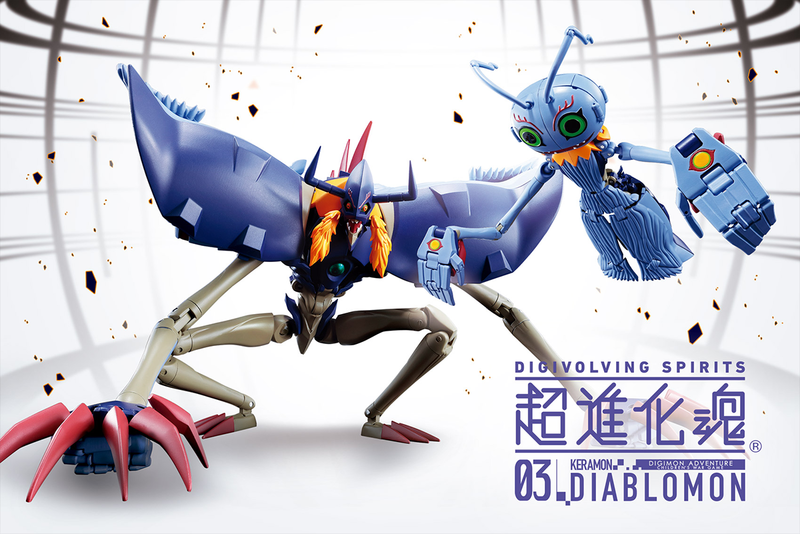 Any fans who can make it to the event will be able to get hands on time with the figure to see how the newest (and most complicated) Digivolving Spirits figure works.